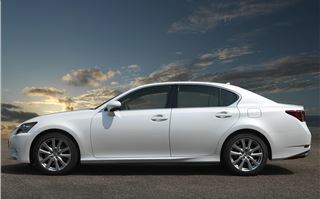 For the time being at least, the 4th generation 2012 Lexus GS is two cars in one body. 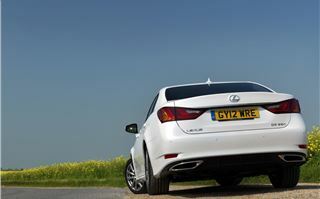 The standard petrol engine has been downsized to the creamily smooth, chain cam 2.5 litre V6 of the Lexus IS. 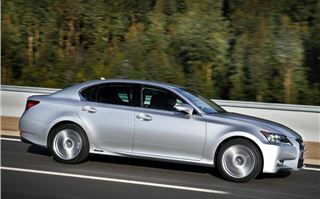 And, with a 0-60 of 8.3 and a top speed of 144, the Lexus GS250 is perfectly adequate in every respect apart from fuel economy. 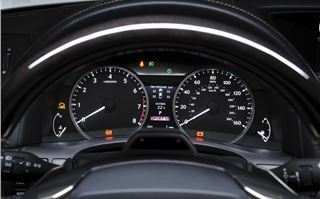 Most drivers will have to be careful to see more than 30mpg and all must accept the punishment of paying £270 VED a year. 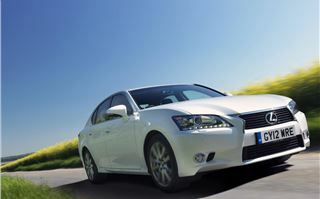 Alternatively, for an extra £8,000 spec for spec, you can opt for the Lexus GS450h. That marries an Atkinson cycle 3.5-litre chain cam V6 with an electric motor to provide a combined power output of 345PS. When it lifts its skirts it races to 60 in 5.6 seconds and on to a top speed artificially limited to 155mph. 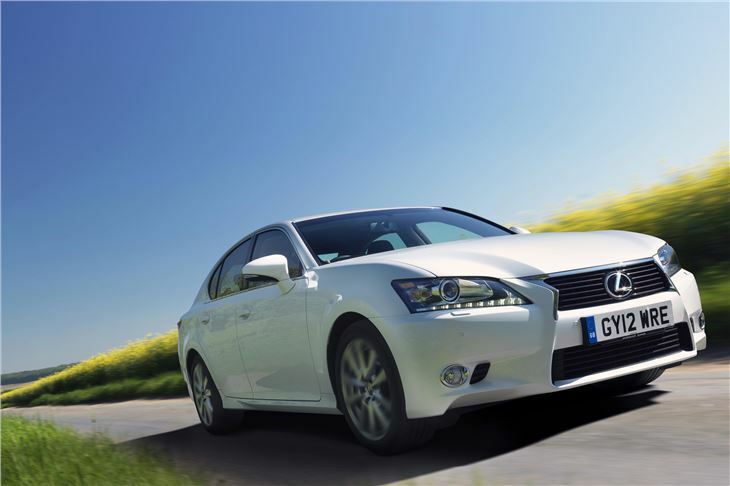 Despite its considerably higher performance the Lexus GS450h can take you around 45 miles on a gallon, its annual tax is just £135 and company drivers benefit considerably from its CO2 emissions of 141g/km without the 3% BIK diesel surcharge. Realistically, no company driver will opt for the Lexus GS250. That’s strictly for private buyers who value its excellent refinement and don’t drive big enough distances for 30mpg to bother them. Even the basic SE model comes decently equipped with 17-inch alloy wheels, full leather upholstery, automatic bi-xenon headlamps and windscreen wipers, LED daytime running lights, a rear-view camera with parking guide monitor, 10-way electrically adjustable front seats, paddle shifts, a 12-speaker audio system with CD player, DAB tuner, Bluetooth and USB/Aux ports for connecting personal music players. 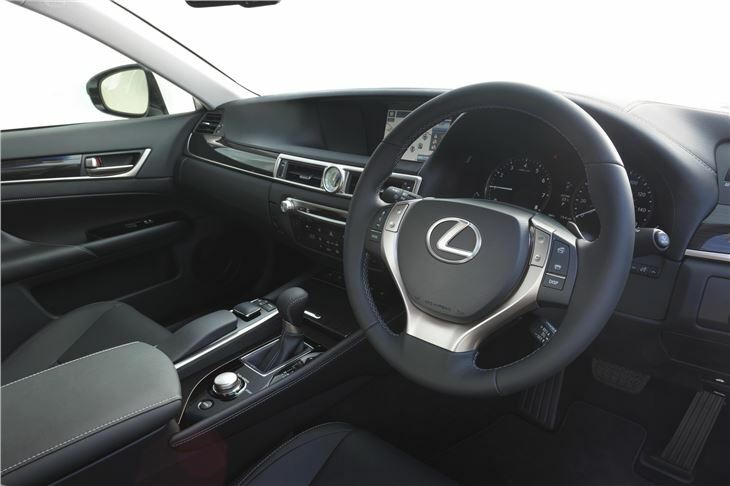 You can add full satellite navigation on an 8” screen for an extra £1,850. 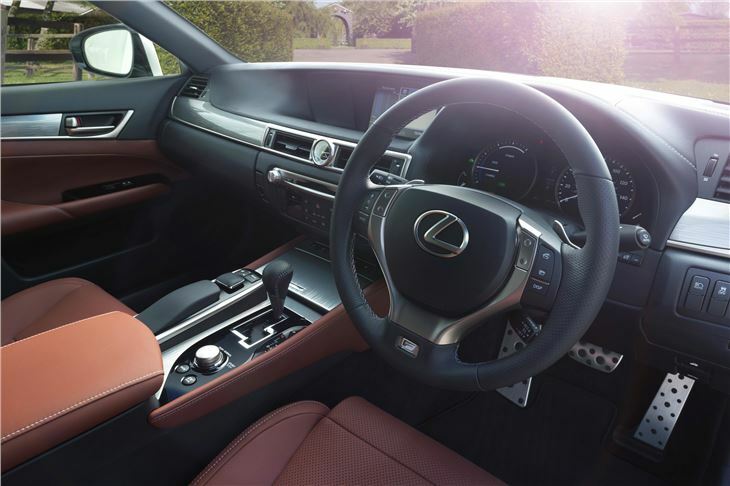 Or simply jump to Luxury grade that, for an extra £3,000, adds an HDD satellite navigation system with Remote Touch controller, 18” alloy wheels with 235/45 R18 tyres, rear parking sensors, an auto-dimming rear-view mirror and side mirror blind spot detection system. 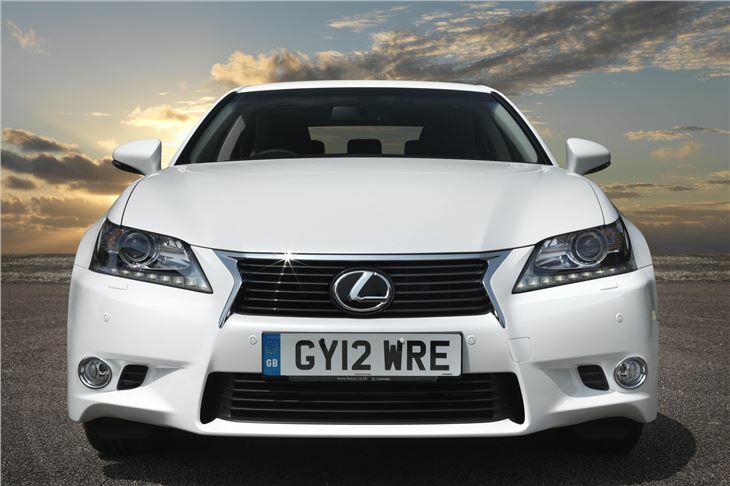 Luxury is the lowest grade for the Lexus GS450h, at a significant £45,000. Though that is also the price level of an equivalent Audi A6, BMW 5-Series or Mercedes E Class with less equipment, or a Jaguar XF diesel similarly equipped. 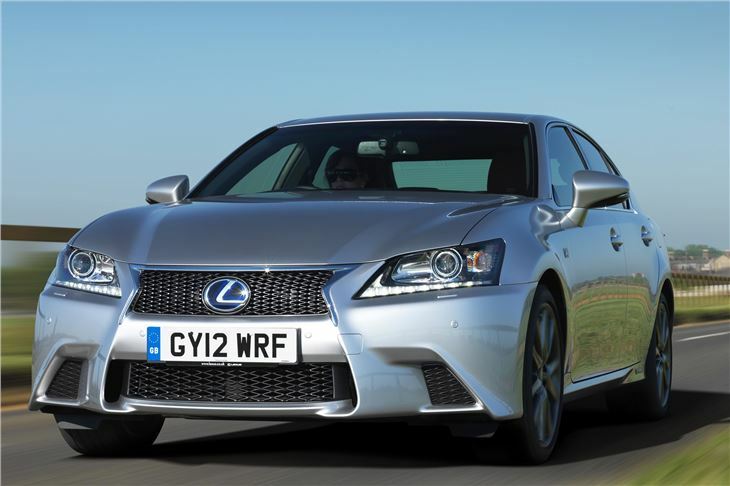 A further £4,000 - £5,000 buys you into the next grades of F-Sport for the GS250 or F-Sport or Premier for the GS450h. 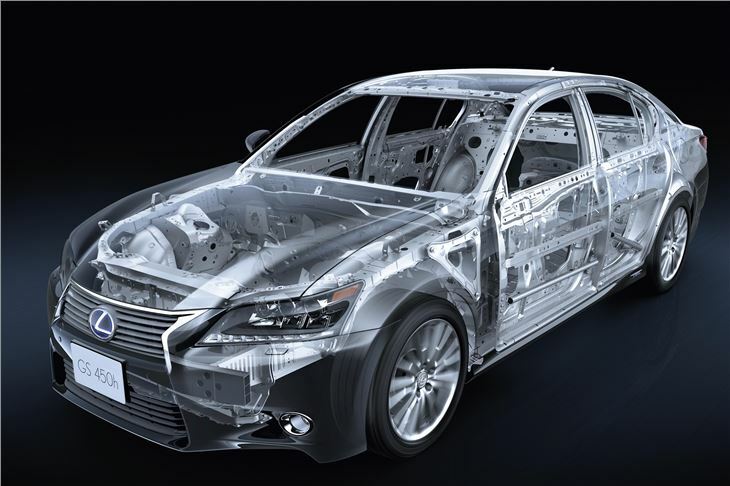 Basically you chose between enhanced sportiness or enhanced luxury. 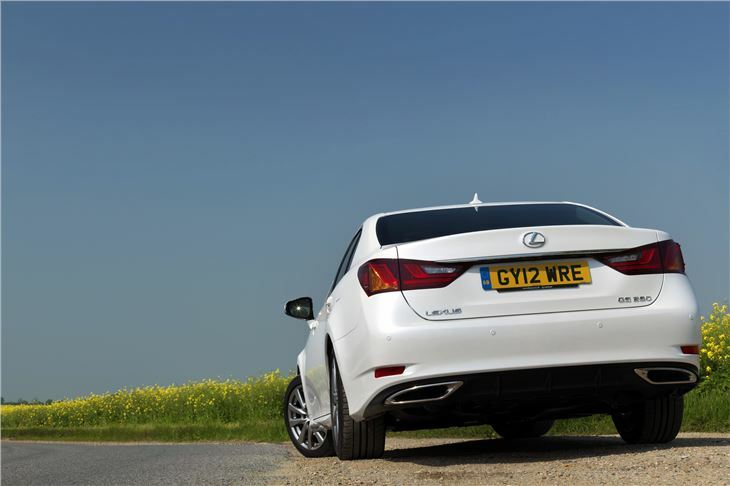 In the GS450h that £5,000 price hike buys a more aggressive front, 19” wheels with 40 and 35 profile tyres, adaptive suspension, rear steer and a Sport Plus autobox setting. 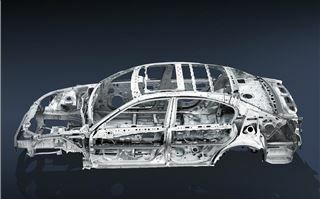 There’s a new ‘3D’ Silver paint finish that appears much deeper than standard clearcoated silver. And, very important to the carriage trade, the trunks have been enlarged. Now 530 litres in the GS250 and 482 litres in the GS450h. Exactly the same size as the trunk of the Chrysler 300C. 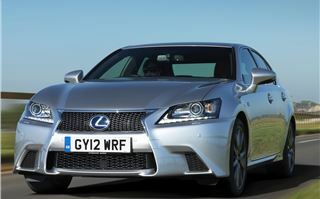 We drove a GS250 Luxury, a GS450h Premier and a GS450h F-Sport. 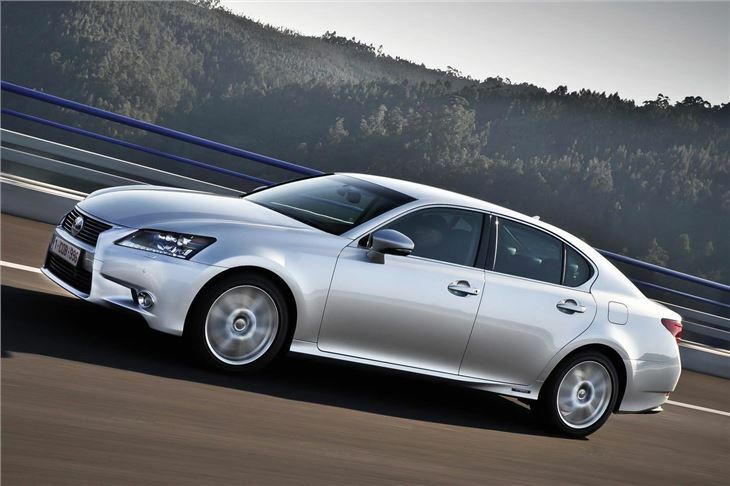 The GS250 Luxury is a perfectly fine wealthy retired person’s sort of car, for people who value refinement over a German badge or a Jaguar diesel engine. 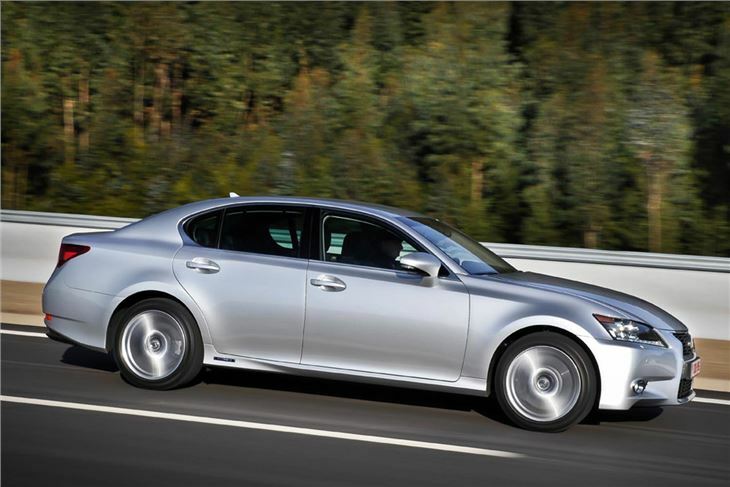 The GS450h Premier is the pick of the two 450hs. It rode better on its 235/45 R18 tyres and was perfectly happy in Eco or Normal drive mode. 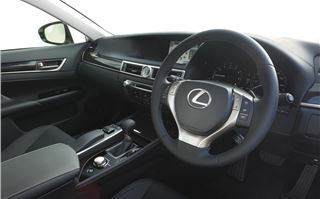 The steering felt better than the GS250, though in truth there was not a lot of feel to either and the car’s sloping bonnet makes it difficult to ‘place’ accurately. 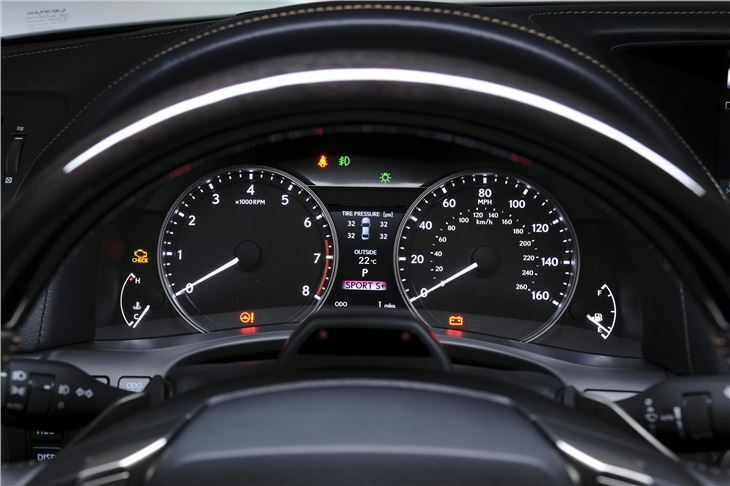 For quick drivers the Jaguar XF, BMW 5-Series or Audi A6 quattro remain better choices. On Austrian and German roads, the F-Sport did not really work for us. The very wide tyres led to tramlining on uneven surfaces. 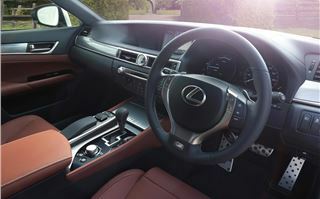 The additional F-Sport mode felt as if the steering had been weighted up in much the same way as in a computer game like Gran Turismo. And, whatever ‘mode’, the paddles did not seem to lock the box into a required ratio (though I don’t see how on a hybrid CVT they could). 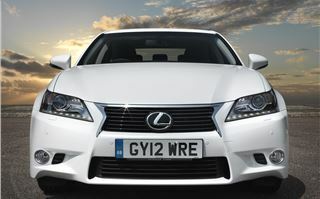 So if you want your company too spend that extra £5,000, spend it on the Premier rather than the F-Sport. 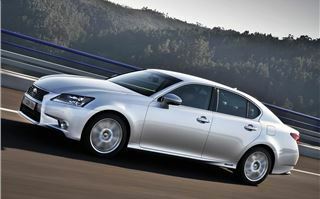 Shrouded in secrecy, another Lexus GS powertrain loosely dubbed “the low displacement hybrid” will arrive “later”. And that’s as much as I can tell you about that car. I don’t know if it will be four cylinder or six cylinder or whether it will somehow manage to crack the magic 100g/km barrier.